Rom ist eine der schönsten Städte der Welt. Sie verfügt über eine immense künstlerische, kulturelle, historische und monumentale und das historische Zentrum hat 25.000 Punkte von archäologischem Interesse. Rund um das Zentrum von Rom anerkannt, ein Weltkulturerbe der Unesco seit 1980. 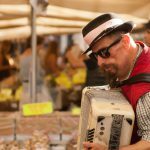 Selbst diejenigen, die in Rom leben, sagt es unmöglich ist, es zu wissen alle: Die Römer in der Tat sagen, dass ein Leben nicht ausreicht, die ganze Stadt zu besuchen. Jede Straße, jede Ecke, jeder Teil der Fläche zwischen den Wänden der Tat einzigartig, wertvoll, mit einer Geschichte zu erzählen. 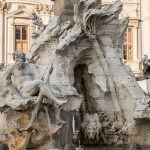 Imperium Suite Navona ist daher die beste Wahl für diejenigen, die so viel wie möglich nach Rom zu finden wollen und wen er das Beste aus seiner Atmosphäre genießen: im historischen Zentrum liegt in unmittelbarer Nähe zu den wichtigsten Sehenswürdigkeiten und den wichtigsten und charakteristischsten der Ewigen Stadt. 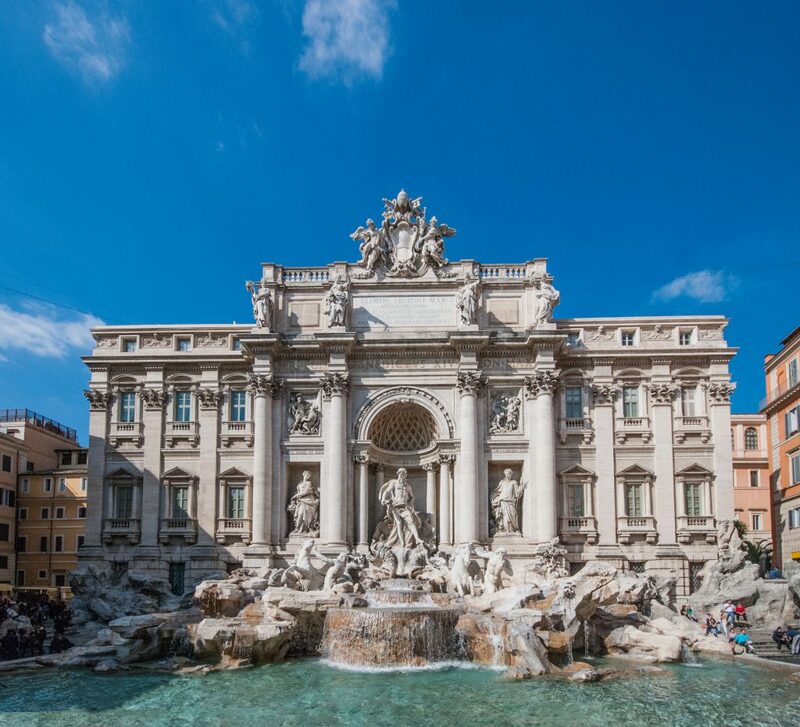 The backdrop for the fountain is the Palazzo Poli, given a new façade with a giant order of Corinthian pilasters that link the two main stories. 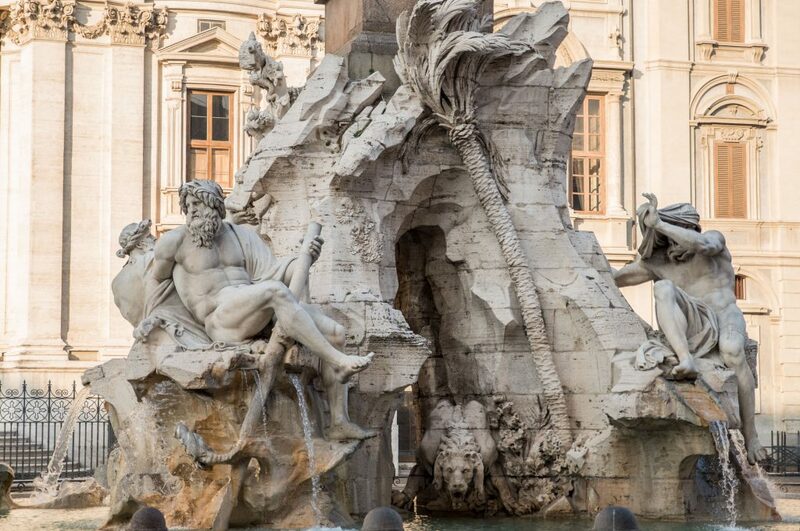 Taming of the waters is the theme of the gigantic scheme that tumbles forward, mixing water and rockwork, and filling the small square. Tritons guide Oceanus‘ shell chariot, taming hippocamps. 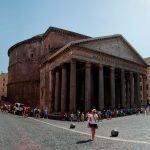 It is one of the best-preserved of all Ancient Roman buildings, in large part because it has been in continuous use throughout its history, and since the 7th century, the Pantheon has been used as a church dedicated to „St. Mary and the Martyrs“ Santa but informally known as „Santa Maria Rotonda“. 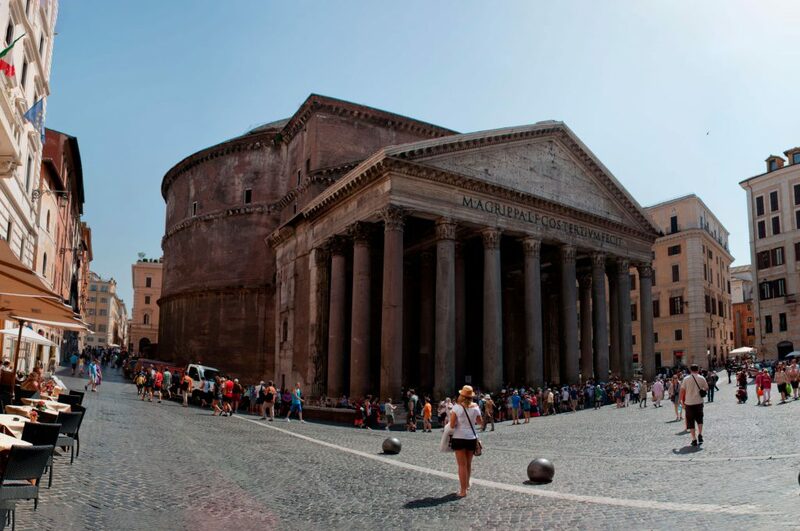 The square in front of the Pantheon is called Piazza della Rotonda. Every morning, from Monday to Saturday at t Campo de ‚Fiori there is the famous market, one of the most typical events of the center of Rome: there are fresh fruits and vegetables, meat, fish, flowers, souvenirs and above all spices, with the famous bags containing powdered seasonings to suit all tastes. The square is also full of bars and restaurants. 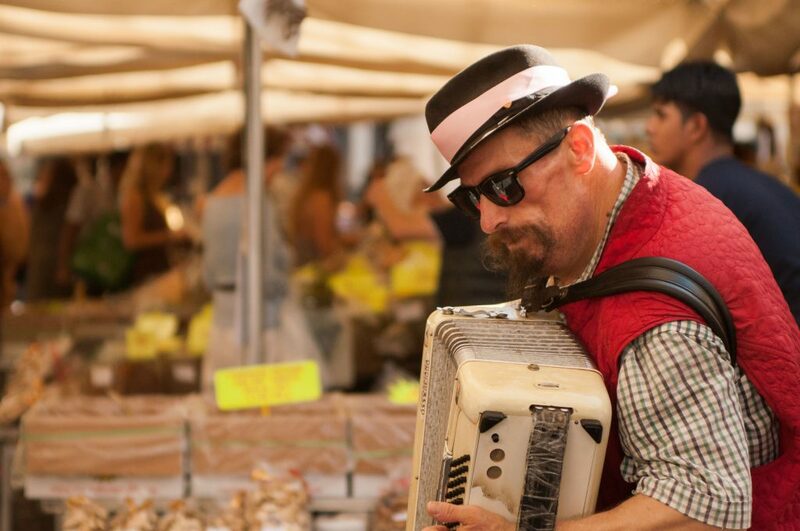 The lively local market that animates the square has a story that has been ongoing since 1869. The name, Campo de ‚Fiori, probably derives from the meadow of flowers that until the fifteenth century occupied the square. There are important buildings and, for its strategic position,became, as early as the sixteenth century, the site of a rich horses’market that was held twice a week, on Mondays and Saturdays. Around the square were built so many hotels, inns and shops of artisans and became the center of various commercial and cultural activities.In Campo de ‚Fiori had also place the executions. In particular, 17 February 1600, was burnt alive the philosopher and Dominican friar Giordano Bruno, accused of heresy:for this reason there is is a bronze monument in his memory in the middle of the square. Even today, every morning, from Monday to Saturday at t Campo de ‚Fiori there is the famous market, one of the most typical events of the center of Rome: there are fresh fruits and vegetables, meat, fish, flowers, souvenirs and above all spices, with the famous bags containing powdered seasonings to suit all tastes. The square is also full of bars and restaurants.